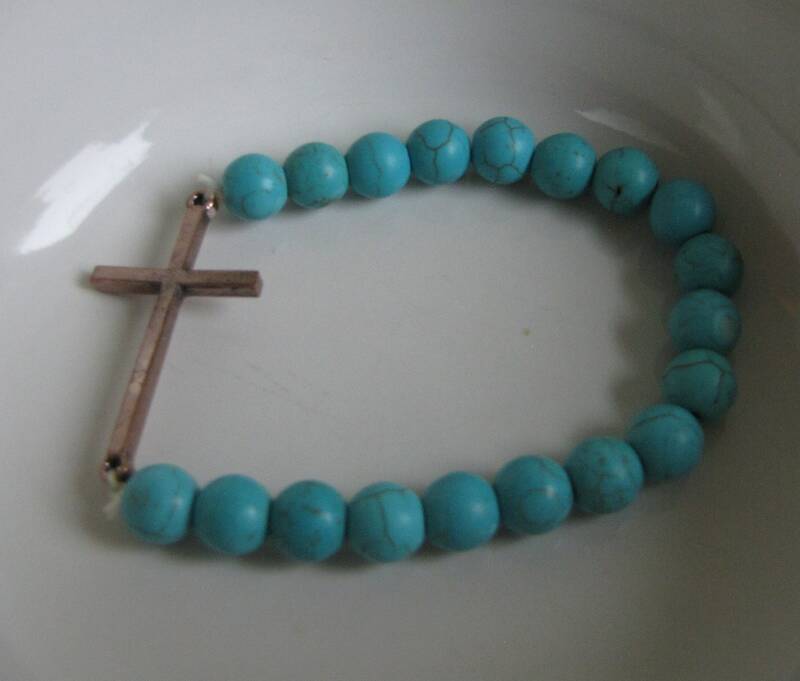 The beads are of glass or stone on an elastic string. 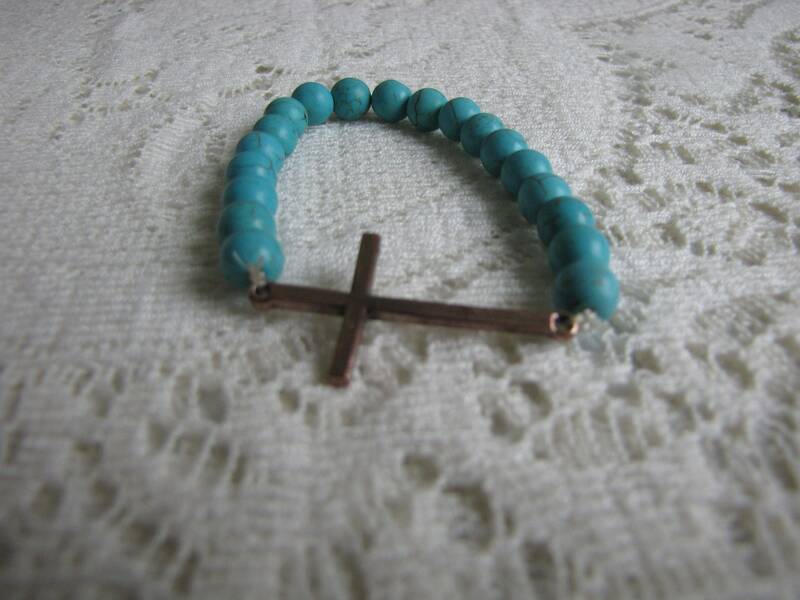 The cross measures 1.75 inches and looks to be made of copper (not sure on this, but that color). 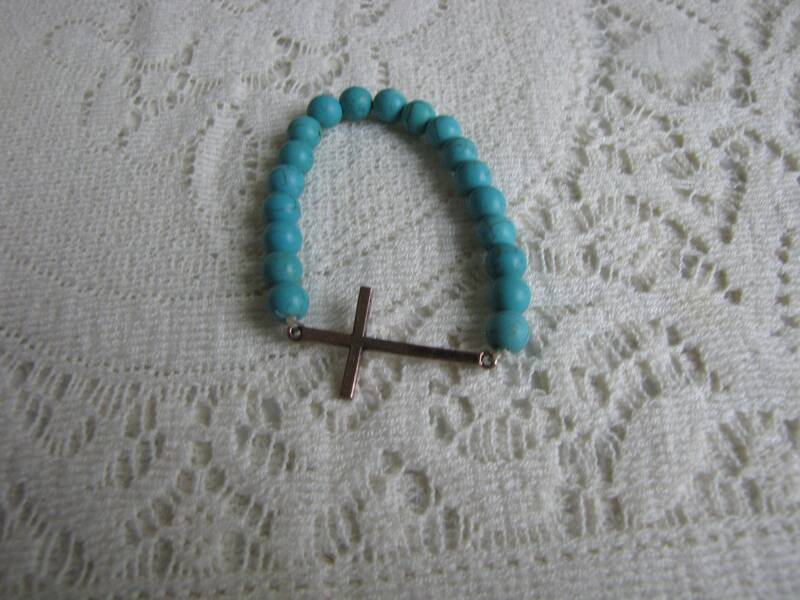 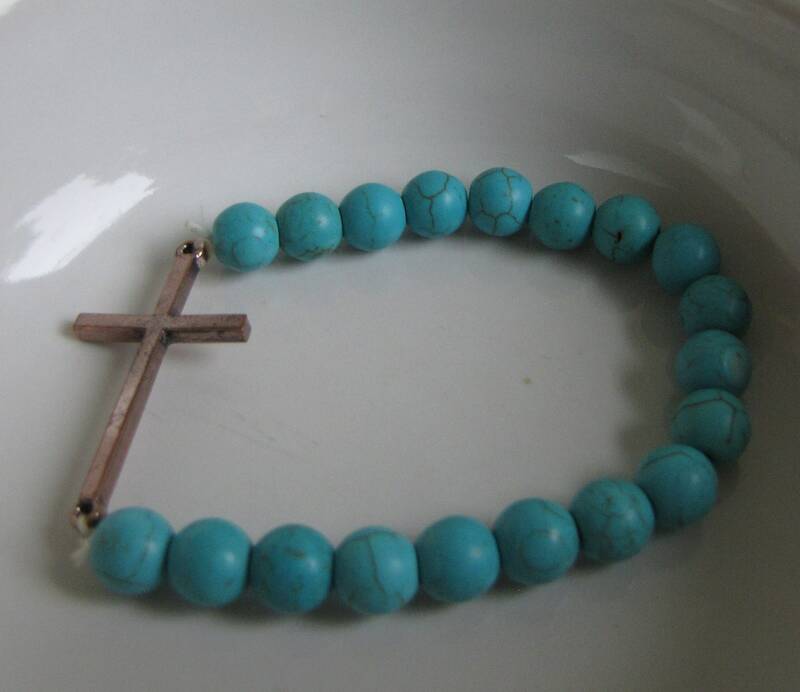 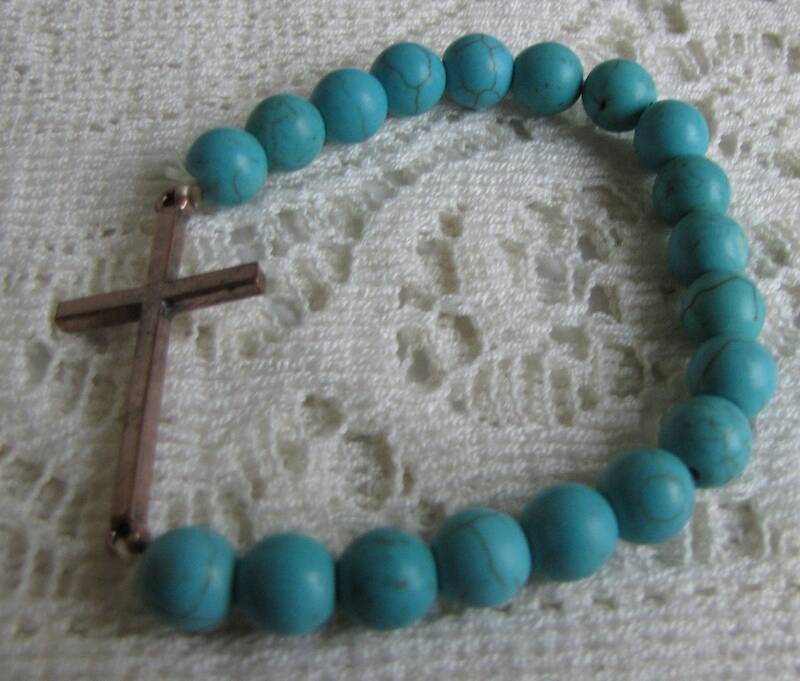 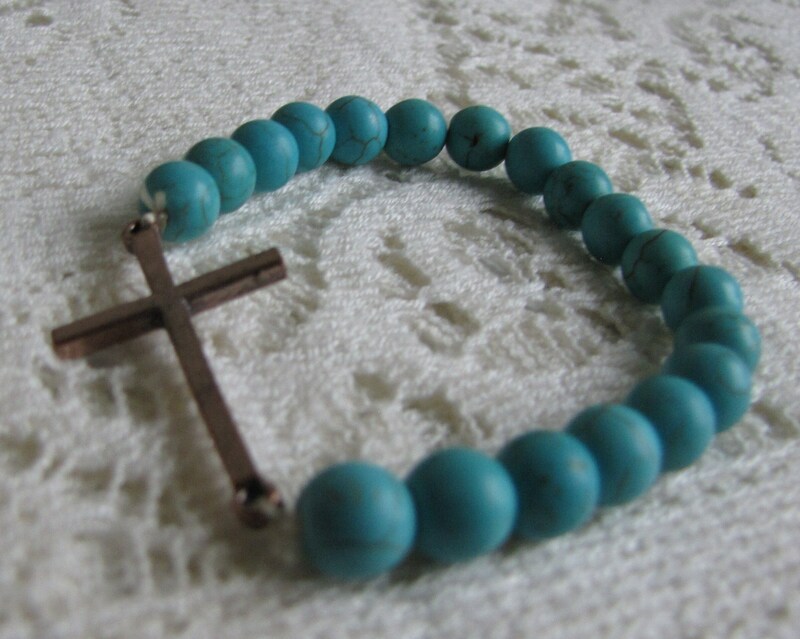 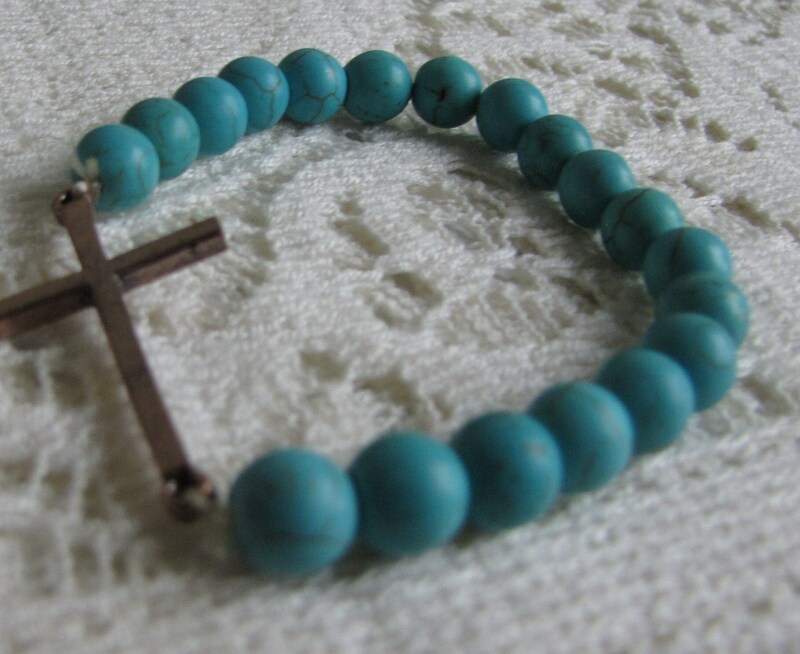 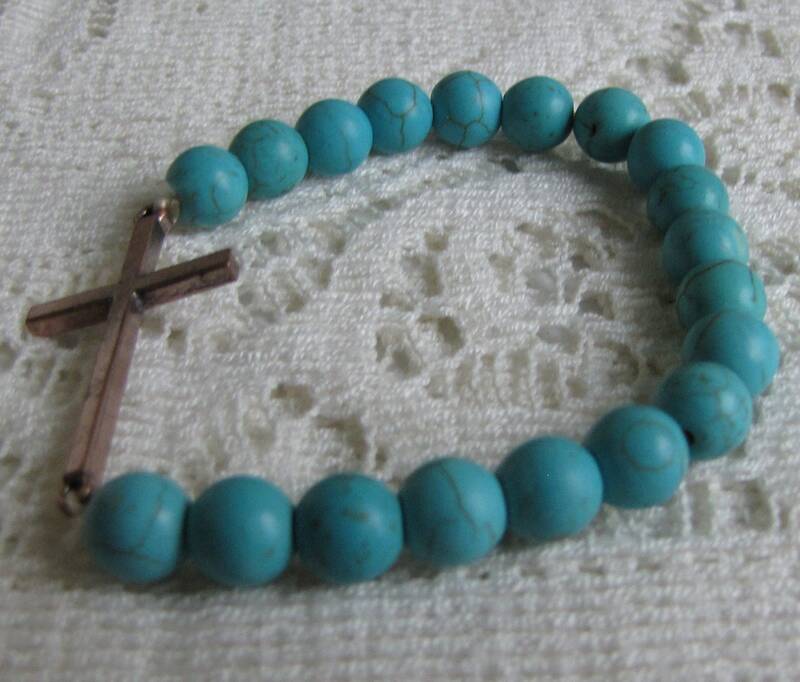 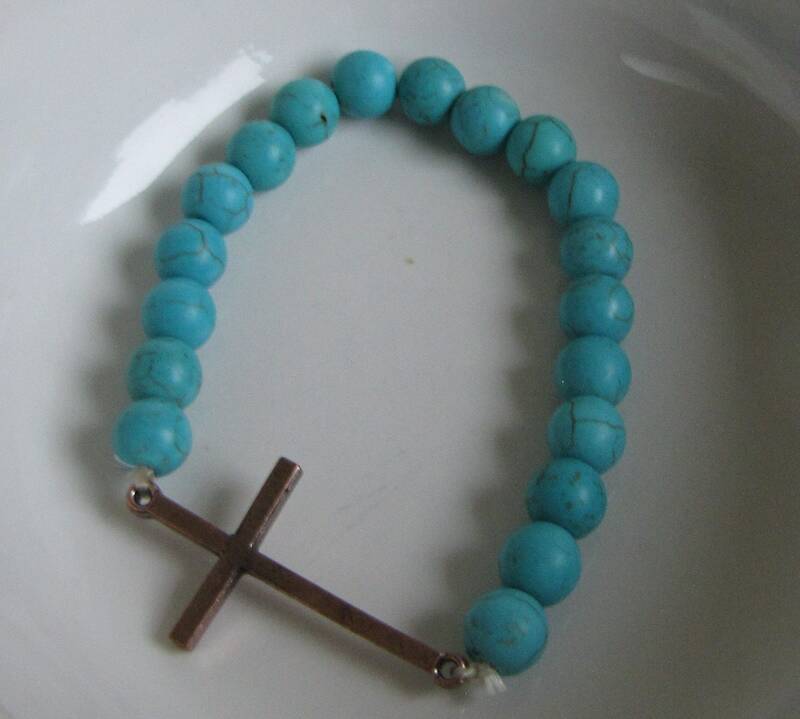 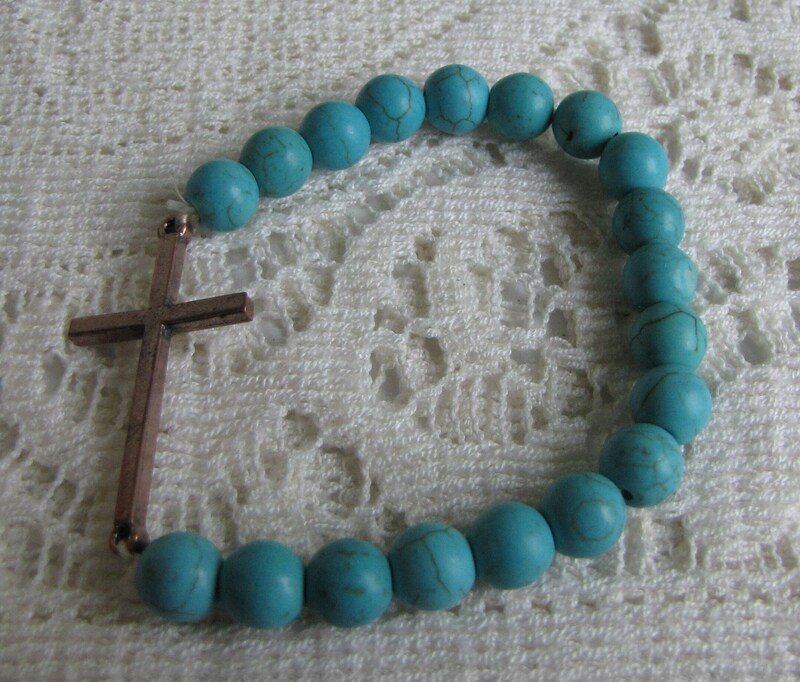 The bracelet measures 2.5 inches in diameter.